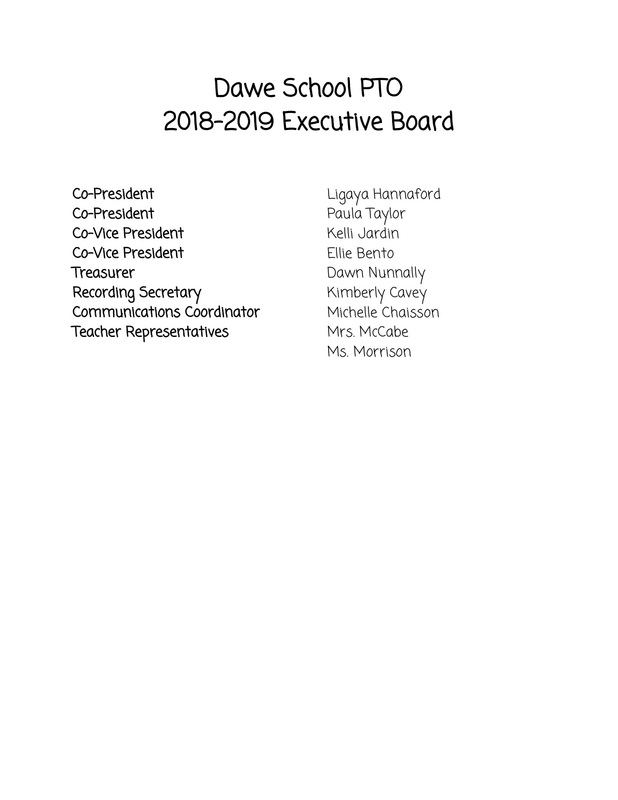 Welcome to the Dawe Elementary School PTO Web site and to the 2018 - 2019 school year!! Please take a moment to browse through the site. We would love to hear any comments or suggestions on what you might like to see in the future. Email us at: daweschoolpto@gmail.com. • To raise funds to benefit school activities. Getting involved in your child’s school has long-lasting, positive effects on both their academic performance and their overall attitude about school. Hundreds of research studies over the last three decades have highlighted the tremendous benefits to school, students, and community when parents get involved in their children’s education. 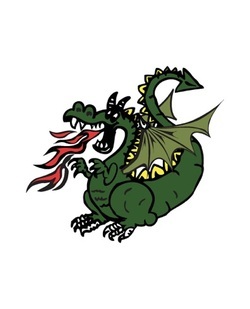 If you have not already done so, be sure to fill out the PTO Membership Form and send in with your student. - If you have some gently used pants or shirts, the nurse will accept donations for the clinic use for those occasional accidents that call for a change of clothing. - If you are able to get paper free or discounted, your child's teacher could use it & would love it! - Cash donations to the PTO are tax-deductible and are always welcome! 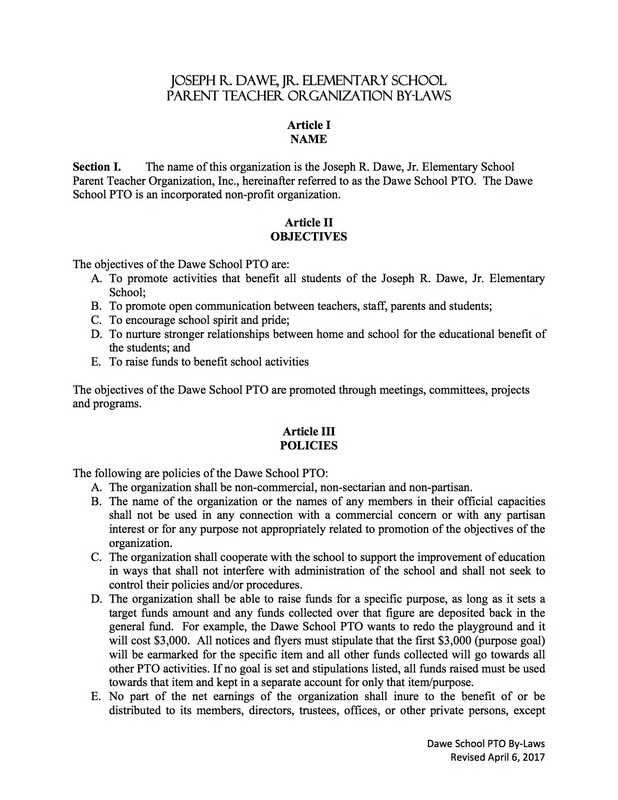 If you wish to be on the Dawe School PTO distribution list for periodic updates, please contact us at: daweschoolpto@gmail.com with your name/email address/child's name(s)/class/grade. 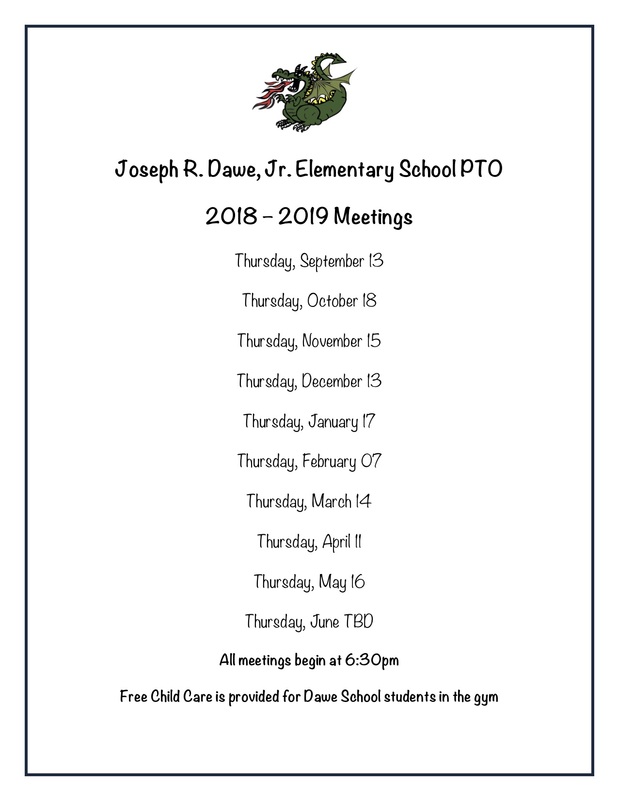 Join us for our Monthly PTO Meetings! 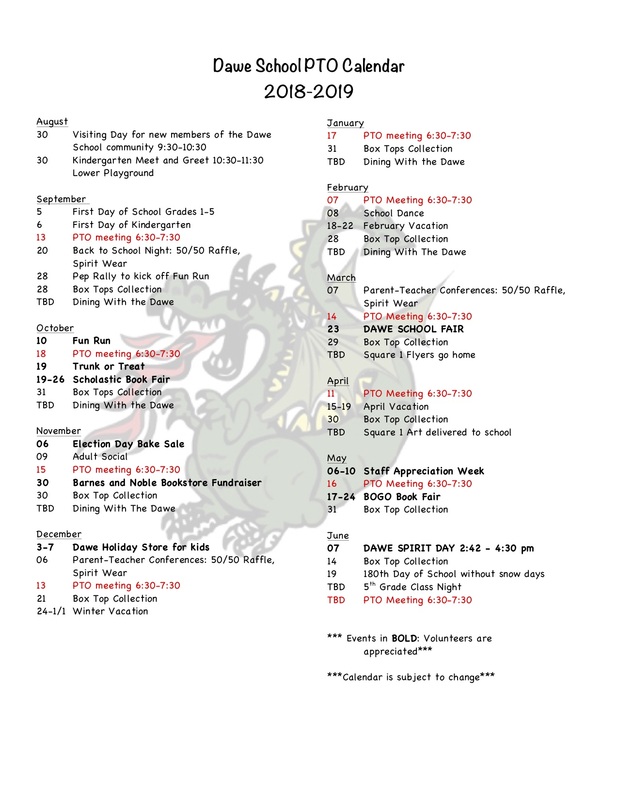 **Learn about the PTO and all of the exciting events this year! Free childcare is always provided at our PTO meetings!